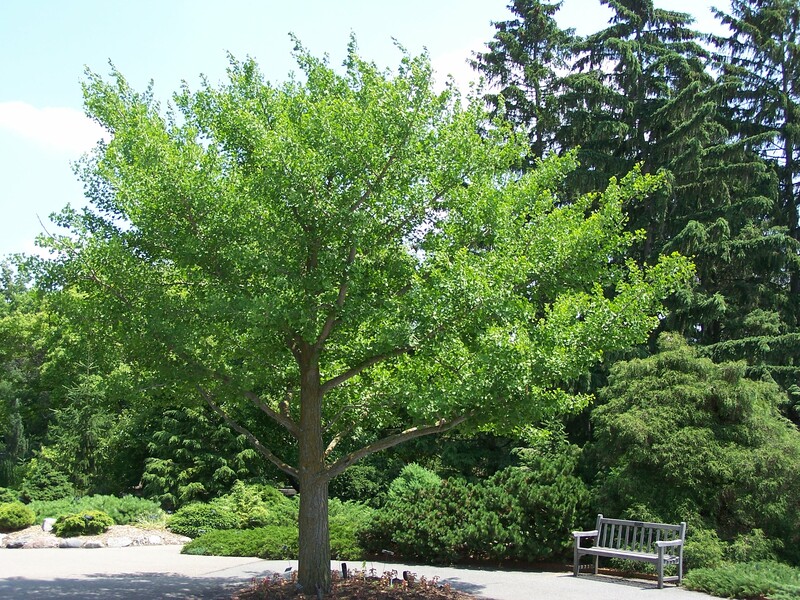 Ginkgo Biloba also known as the maidenhair tree is derived from one of the oldest tree species in the entire world. The trees can grow more than 130 feet tall and can live for over 1,000 years. Some trees in China are said to be over 2,500 years old. Ginkgo biloba is a popular supplement and one of the top-selling herbal medicines. Ginkgo biloba extract is collected from the dried green leaves of the plant and is available as liquid extracts, capsules, and tablets. Ginkgo is a large tree with fan-shaped leaves. Ginkgo biloba was first used for its medicinal properties in Ancient China. The Chinese took ginkgo for its claimed cognitive benefits and to alleviate symptoms of asthma. Gingko contains high levels of flavonoids and terpenoids, antioxidants that provide protection against oxidative cell damage from harmful free radicals. In this way, antioxidants are believed to help reduce the risk of cancer. One of the most prominent health benefits associated with Ginkgo biloba extract, is the fact that it can improve cognitive health and function. Studies have found that the extract could help to treat and prevent dementia and Alzheimer’s disease. This is because it assists with blood flow and oxygen transportation to the brain, plus it can also provide protection for nerve cells, and it is thought to assist with short and long-term memory. According to the University of Maryland Medical Center, “Gingko is widely used in Europe for treating dementia.” Doctors started to use it because they thought it improved blood flow to the brain, but more recent studies indicate that it may protect nerve cells from damage in Alzheimer’s. There is some evidence indicating that ginkgo can help people with dementia, although more studies are required to confirm this. The benefits may include improved thinking and memory, better social behavior and better ability to perform everyday tasks. Researchers believe that ginkgo improves cognitive function because it promotes good blood circulation in the brain and protects the brain and other parts from neuronal damage. Research shows that ginkgo can help combat poor concentration, reverse cognitive decline and and heal fatigue. When researchers from the Institute for Medical Psychology at the University of Munich tested the effects of ginkgo on healthy adults’ mental performance over a four-week period, they found significant differences in self-estimated mental health as well as self-estimated quality of life between those taking ginkgo and the placebo group. This is true even though there were no existing differences between the two groups in terms of general health. Ginkgo may help alleviate the symptoms of anxiety and depression. A study published in the Journal of Psychiatric Research, found that people with generalized anxiety disorder who took ginkgo experienced better anxiety relief than those who took a placebo. Research suggests ginkgo biloba benefits the body’s ability to handle stressors and counteracts the effects of high levels of stress hormones, like cortisol and adrenaline. One small study observed improvements in the vision of people with glaucoma who took 120 milligrams a day of gingko over a period of 8 weeks. Some studies have also suggested that gingko may help people with macular degeneration to keep their sight for longer. Some studies have found ginkgo to be effective at lowering the risk for age-related macular degeneration thanks to its platelet-activating factors and prevention of membrane damage caused by free radicals. Vascular factors and oxidative damage are thought to be two primary causes of vision loss and other age‐related eye disorders, but antioxidant plants and herbs like ginkgo help mitigate these effects. Some studies have found ginkgo extract can reduce asthma-related symptoms. Because it lowers inflammation, improves antioxidant activity and has positive effects on nerve functioning, people have reported less trouble breathing when taking ginkgo. Ginkgo might cause an allergic reaction in people who are allergic to poison ivy, poison oak, poison sumac, mango rind, or cashew shell oil. Patients with blood circulation disorders or individuals on anticoagulants, such as aspirin, are at risk of experiencing undesirable effects after taking ginkgo. The University of Maryland Medical Center warns that people should not eat the ginkgo fruit or seed.